Pioneers in the industry, we offer concrete saw wheel and concrete core drill bit from India. Concrete Saw Wheel offeredcomprise precision designed wheels that find suitability for cutting concrete, brick and tiles. 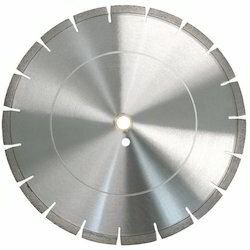 These wheels come with support of sharp blades that assist in achieving easy and convenient cutting action. 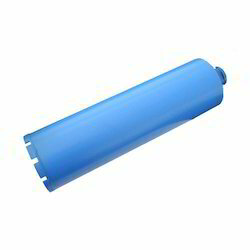 Made available in different wheel diameters for cutting in different depths, these are suitable for asphalts, concrete, granites and marbles cutting as well as for taking out cylindrical cores from rocks/blocks. Providing for longer functional life, these also come with standard outfit support as per standards followed internationally. Concrete Core Drill Bit offered comprise precision developed core drills that come with hand operated rapid screw feed through lever drive with built-in ball bearing support. Allowing for efficient cutting action, these drills are suitable for taking out cylindrical cores and come with easy to handle settings and shifting options. Being suitable for drilling round holes through floors, walls as well as other concrete structures like tiles, concrete, rocks, stones, these find wide usage in construction industry sector. Other than this, these are also suitable for masonry drilling, marble, granite, concrete drilling operations and can be offered with different connector types and non-standard lengths on request.